Sophie has a BA in English Literature and Italian from Swansea University and Masters degree in International Relations from Plymouth University. After working in both paid and voluntary positions in human rights, Sophie decided to pursue a career as a lawyer. She studied the Graduate Diploma in Law and the Legal Practice Course part time at BPP while running a charity in Hackney. While studying in Plymouth, Sophie volunteered with the Devon and Cornwall Refugee Support Council (DCRSC) working directly with lawyers and caseworkers on asylum claims. In New Delhi where she worked for two years, she was the Human Rights Researcher for Commonwealth Human Rights Initiative (CHRI) writing on anti-terror legislation and its impact on policing and human rights and was the author of a published report for the Commonwealth Heads of Government Meet (CHOGM) held in Uganda in 2007. 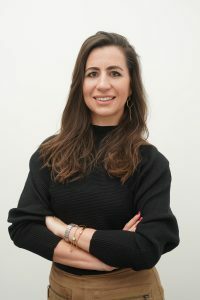 In London, she has worked with asylum seeking children as part of an integration scheme with the British Red Cross and for four years she was the News Correspondent for The Testimony Project, an online forum for refugee women. Sophie has gained practical experience of working in social welfare law through a free legal advice clinic she has been running for the last two years. The Hackney Winter Night Shelter Legal Advice Clinic covers housing, welfare benefits, immigration and family law and receives referrals from a network of organisations working with people in vulnerable situations. Around the same time as the clinic was founded, Sophie set up a business Ponte Consulting, that helps businesses with community engagement. Sophie is absolutely delighted to be working with Child Poverty Action Group (CPAG) and is looking forward to working with CPAG on their aims and objectives with a vision have a society without child poverty. With over 1 million people accessing food banks, changes to welfare benefits and child poverty on the increase, CPAG’s work has never been more important. The aim of the project is to assist people in poverty to have a fair hearing and equal access to justice. The project will focus on supporting litigants-in-person (LIPs) who have social security appeals in the Upper Tribunal across England. LIPs are individuals who do not have legal representation in court or tribunal hearings. Following changes introduced by the Legal Aid, Sentencing and Punishment of Offenders Act 2012, there is legal aid for advice on social security appeals on a point of law in the Upper Tribunal but not for representation at the hearing. Individuals who cannot afford to pay for a representative and who are unable to access free legal advice, often have no choice but to represent themselves. The project seeks to protect claimants’ Article 6 right to a fair and impartial hearing. Attending a hearing can be a daunting and intimidating process. Add preparation, self-representation and understanding of social security legislation to the equation, and the hearing becomes a significantly more stressful and overwhelming experience. For people living in poverty in vulnerable situations, the result of the hearing is crucial adding more pressure to succeed. This project will equip LIPs with the resources, guidance and support they need to take their case to the Upper Tribunal. The project will help LIPs develop their case prior to the hearing through online support and advice by telephone or email. The project will investigate whether claimants would be assisted by the provision of online resources which would enable them to successfully navigate the social security system and legislation empowering them to speak before the Court. The project would seek to work with legal aid providers to refer individuals in scope and/or offer effective and targeted support.